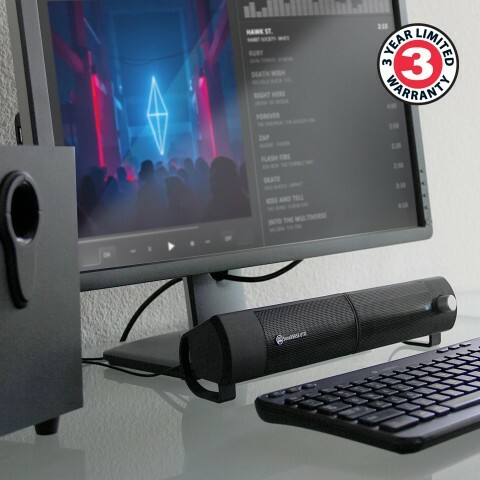 The SonaVERSE UTR features a sound bar that can split into two separate stereo satellite speakers to accommodate a diverse mix of desk situations. Whether in soundbar or satellite mode, the optional subwoofer can enhance the bass and depth of your movies and music. 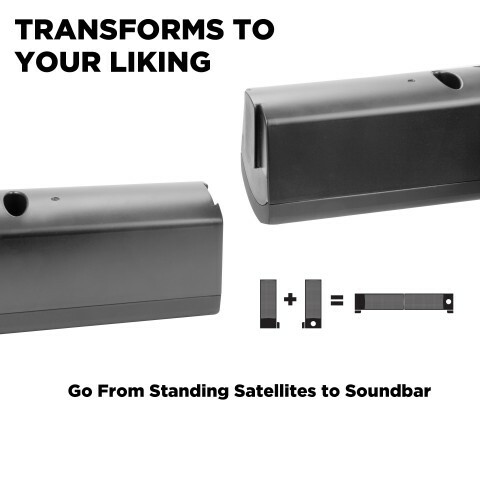 With the subwoofer, the UTR enables four unique speaker combinations: (#1) soundbar, (#2) soundbar w/subwoofer, (#3) standing satellites, (#4) standing satellites w/subwoofer. 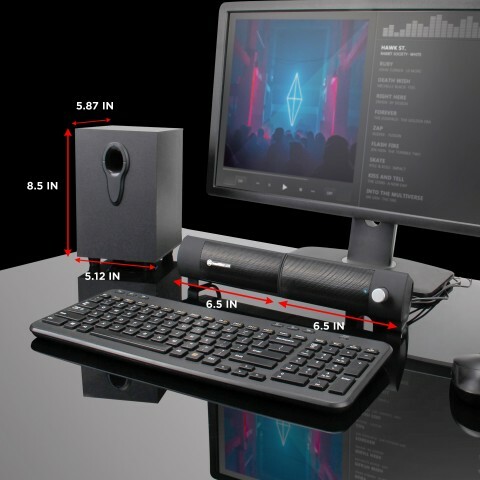 - Desktops (soundbar mode): The unibody soundbar mode works especially well when placing the soundbar under your monitor screen, thus taking advantage of desk space that would otherwise go unused. 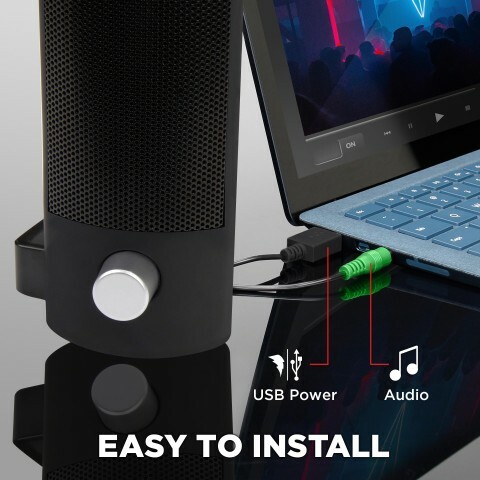 - Laptops (satellite mode): Separate the soundbar in half and position the satellites on each side of your laptop by standing the speakers using their built-in feet. 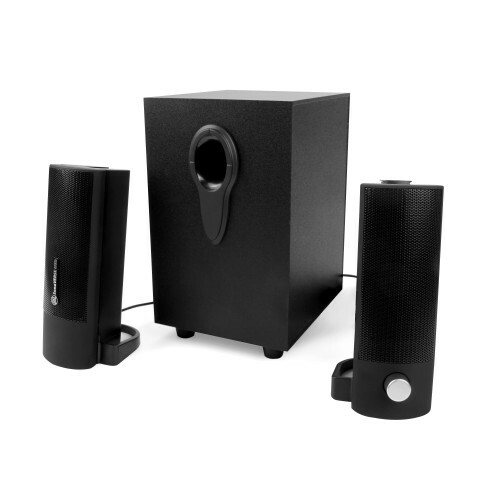 Experience 2.1 bass-rich audio with a compact 3-piece computer speaker system that is easy to hook up. Convenient 47-inch long USB power & 3.5mm AUX audio cables let you connect the UTR directly to your computer without the need for an AC outlet or special audio adapters. 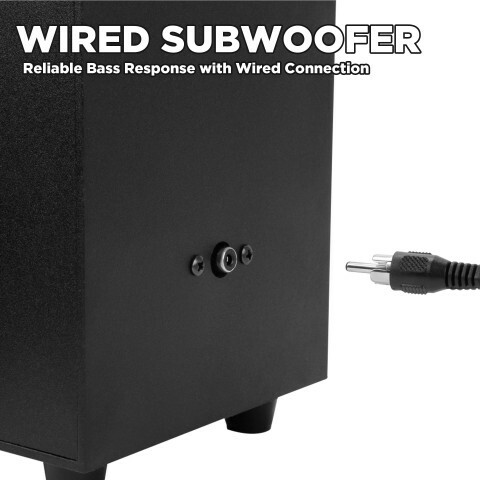 The subwoofer connects using a 46-inch long RCA cable for plenty of desk placement freedom. 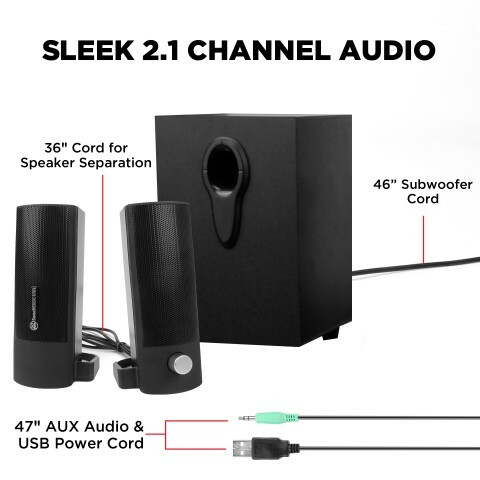 When you want to transform the soundbar to standing satellites, the 36-inch cable that connects both speakers can provide enough speaker separation to satisfy most dual monitor setups. 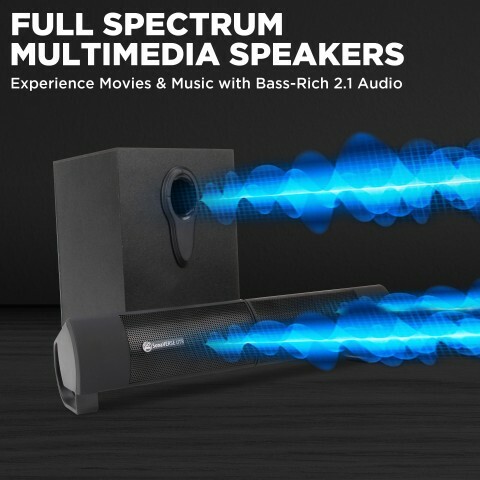 Each channel of the soundbar houses a 3.5-inch driver for rich stereo audio while the RCA wired subwoofer boasts a 3-inch woofer for added oomph. 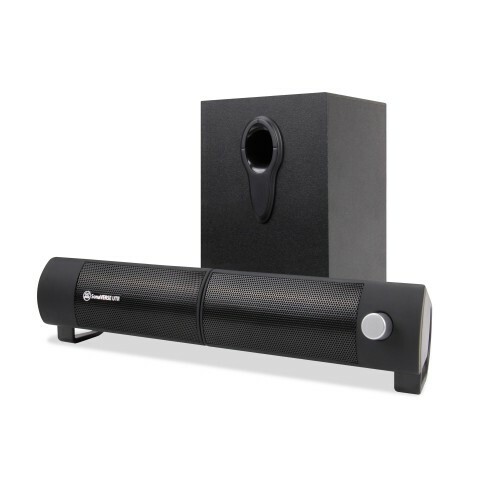 For added convenience, the soundbar features a volume/power dial for quick access.